Lynn established Gray Ag Air in 1982, starting on a dirt strip with a 5 gallon bucket and a water hose. Lynn later expanded the business in 2015, by opening another location in Wellington, Texas. 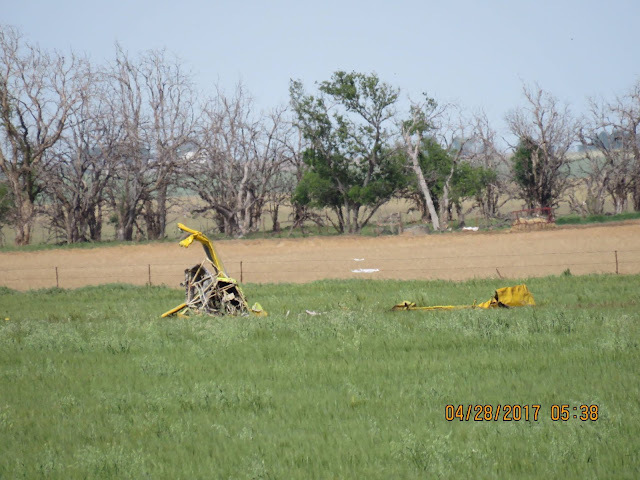 On April 28, 2017, about 1300 central daylight time, an Air Tractor AT-602 airplane, N604RH, impacted terrain while on final approach for runway 35 at the Hollis Municipal Airport (O35), Hollis, Oklahoma. The pilot was fatally injured. The airplane was substantially damaged. 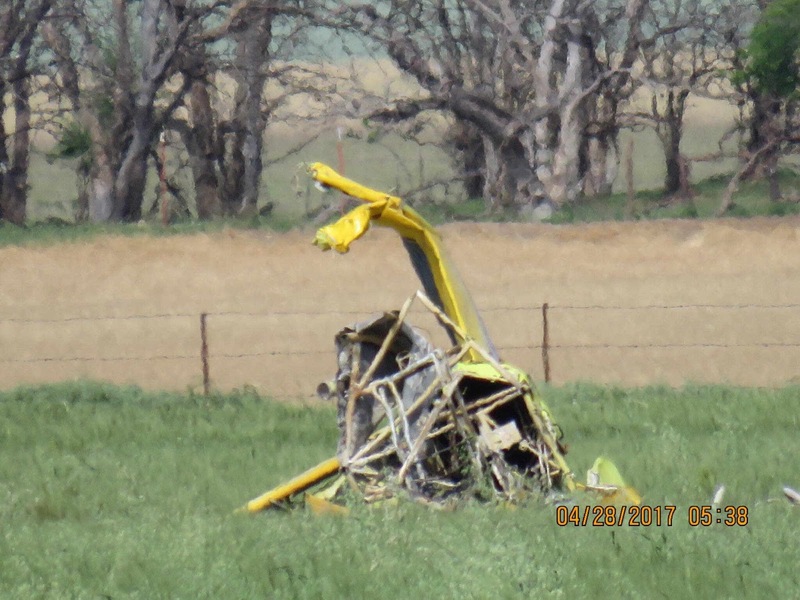 The airplane was registered to the pilot and operated by Gray Ag Air as a Title 14 Code of Federal Regulations Part 137 aerial application flight. Visual meteorological conditions prevailed at the time of the accident. The flight was not operated on a flight plan. The local flight originated from O35 about 1200. According to a colleague, the pilot was returning from his third or fourth application flight of the day when the accident occurred. The pilot had treated a field about 4 miles northwest of the airport. A witness working near the airport reported hearing the airplane. He subsequently looked up and observed the airplane approaching the airport. Nothing looked unusual about the flight path, attitude, or appearance of the airplane at that time. However, he noted that an unusual noise came from the airplane. He was unsure of the exact nature of the noise but thought that it was either associated with the engine or with the propeller changing pitch. Shortly afterward he heard a loud explosion. An analysis of the video footage estimated the airplane altitude as about 140 ft above ground level (agl) as it entered the field of view. Shortly before it entered the rapid descent, the altitude was estimated to be 92 ft agl and the rate of descent was about 6 ft/sec (360 ft/min). The airplane groundspeed was estimated at 121 +/- 18 knots during that timeframe. Once the airplane entered the final descent, the rate of descent was about 80 ft/sec (4,800 ft/min). The airplane stall speeds ranged from 61 knots to 71 knots with the wing flaps extended depending on the gross weight. The airplane flight manual "Glide and Approach (Before Landing)" procedure instructed pilots to adjust the engine power to provide the required rate of descent. It noted: "Do not move power lever below idle stop position. Check Beta light – OUT." It noted that, after landing, "reverse thrust may be selected as necessary." In order to prevent an inadvertent application of reverse thrust, the pilot must press the reverse trigger on the power lever and move the lever aft to enter beta mode. On November 29, 2017, Air Tractor issued a service letter regarding the use of propeller beta mode in flight. The letter informed operators that the use of beta in flight is prohibited and that doing so may result in a loss of control due to disrupted airflow over the empennage. The airplane impacted a wheat field about 101 yards south of the runway 35 threshold. The fuselage came to rest about 26 yards north of the point of initial impact. 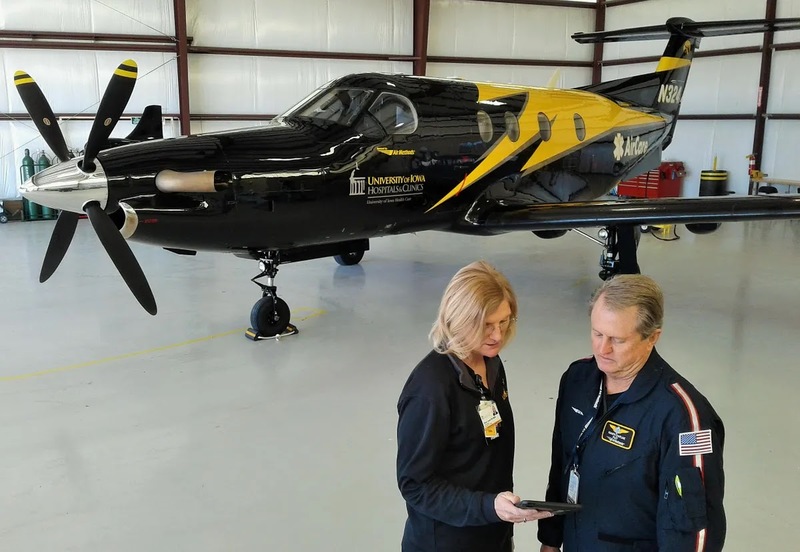 A postaccident examination was conducted by the NTSB investigator-in-charge with the assistance of technical representatives from the airframe, engine, and propeller manufacturers. The examination did not reveal any anomalies consistent with a preimpact failure or malfunction. Evidence indicated that the propeller blade angles were in the normal operating range at the time of impact. Damage to the propeller governor precluded functional testing. The wing flap actuator extension was consistent with the flaps being down. A detailed summary of the examination is included in the docket associated with the investigation. The Oklahoma Board of Medical Investigations, Office of the Chief Medical Examiner, Oklahoma City, Oklahoma, performed an autopsy of the pilot and attributed his death to multiple blunt force injuries sustained in the accident. Toxicology testing preformed by the Federal Aviation Administration Bioaeronautical Sciences Research Laboratory, Oklahoma City, Oklahoma, identified cetirizine at levels too low to quantify, oxycodone at 0.116 ug/ml, and oxymetazoline in cavity blood. Cetirizine, oxycodone, oxymetazoline, acetaminophen, oxazepam, and oxymorphone were identified in urine. Cetirizine is an antihistamine available over-the-counter and commonly used to treat allergies. Oxycodone is an opioid medication available by prescription and commonly used for pain management. Oxymetazoline is a vasoconstrictor available in over-the-counter nasal sprays commonly used to control congestion. Acetaminophen is an analgesic available over-the-counter and commonly used for pain management. Oxazepam is a benzodiazepine available by prescription and commonly used to treat anxiety. Oxymorphone is a metabolite of oxycodone. Cetirizine, oxycodone and oxazepam are known to be sedating.